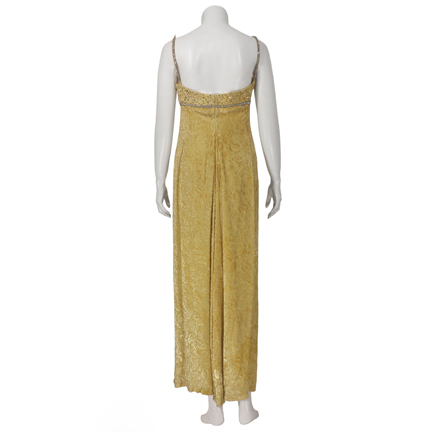 This vintage dress was worn by Paris Hilton during her appearance as Co-Grand Marshal of the 2005 Los Angeles Gay Pride Parade held on June 12, 2005. 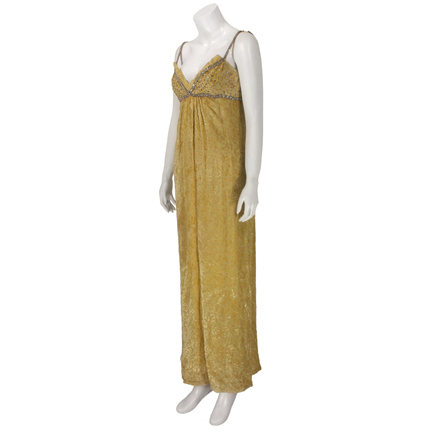 The full-length gown by Saks 5th Avenue is constructed of yellow burnout velvet with floral pattern design and has rhinestone trim on the bodice and shoulder straps. 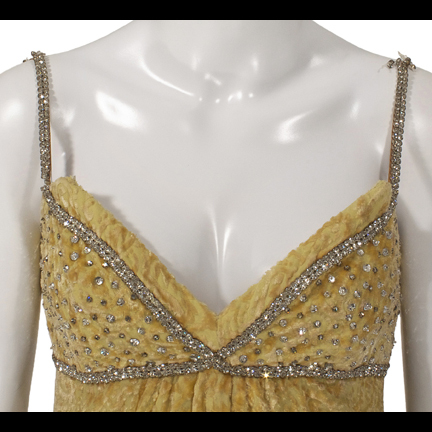 Ms. Hilton appeared wearing this garment in numerous promotional photos taken at the highly publicized event that she co-marshaled along with her mother, Kathy Hilton. The two-day festival featured appearances by other notable celebrities such as Deborah Harry of the band “Blondie”, singer Debbie Gibson, reality TV star Anna Nicole Smith, and a rare musical performance by actress Lucy Lawless who starred in the hit television series “Xena: Warrior Princess”. 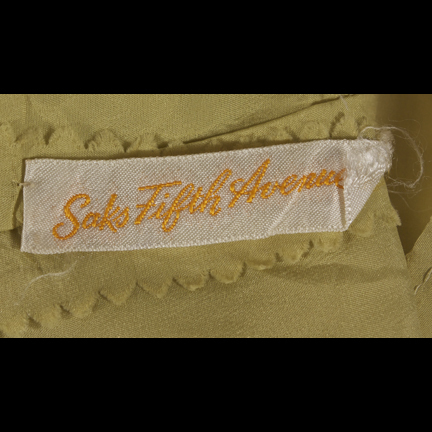 The dress is in delicate vintage condition and is accompanied by a letter of authenticity from the costume house.